This may come as a surprise to some of you given my classic leanings but my favourite aircraft type is probably the Boeing 757. I find it to be a massively satisfying aircraft both in terms of appearance and performance. Being the workhorse of the UK charter fleet there were always plenty at Gatwick when I was a kid, flying for the likes of Air Europe, Inter European, Monarch, Air 2000, Airtours, Flying Colours, Caledonian etc and of course whenever I visited Heathrow I was quickly bored by the stream of BA 757s. How lucky we were back then. When I last updated this review back in late 2016 I lamented the lack of 757 releases and the age of the moulds being used. There had been only 126 releases and substantial amount of mould sharing between Gemini, Schuco and Phoenix. Things have definitely improved primarily due to the appearance of NG Models with a brand new moulding. Within the past year the number of releases has grown to 186 with all but 4 of these down to NG and its affiliates HYJLwings and Dream Air. In fact rather than constant stream of boring modern 757s NG have been actively taking input from collectors over at DAC and making classic 757s in long missed liveries like British Airways 'Landor'. It has been refreshing and exhiliarating. Long may it continue, despite some manufacturers taking a very dim view of it. As of October 2018 Gemini have made an 92 models (four have also been rebadged as Schucos), however 63 of those have been from the United States of America examples which I guess is hardly a surprise given the 757s popularity in the USA and Gemini's focus. Even so there are always more 757s to be done especially classic 757s. 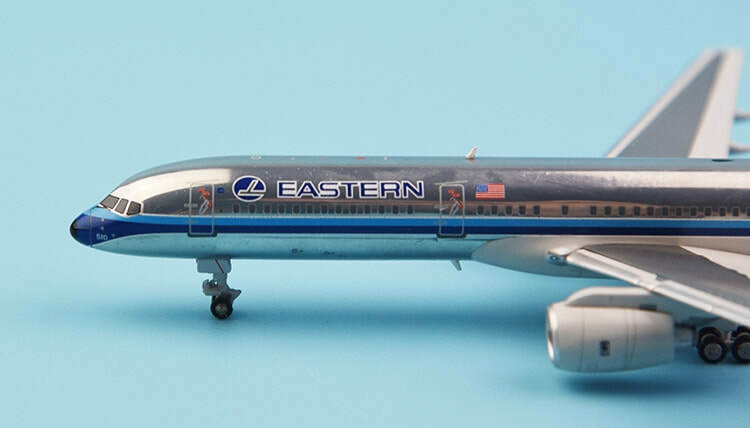 Unfortunately the Gemini mould can't be used to replicate early 757s as it is fitted with the later RB211-535E4 and not the earlier Rolls-Royce RB211-535C, which was superseded in 1984. 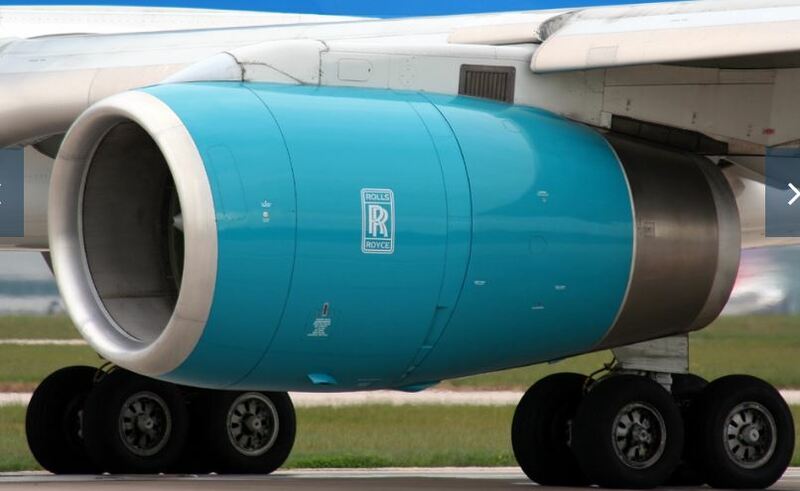 They do have however versions with the PW2040 engines. I actually like the original Gemini mould however as is well known its failings primarily centre around the undercarriage, which is uber-chunky (especially the nosegear). I also think that on some models the cockpit windows are too small and misplaced which impacts the beauty of the model. Dragon Wings entered the market rather late for them and have made only 9 757s in total. The mould is ok but again suffers from poor nosegear and often bad cockpit printing. On the plus side as with all Dragon moulds it is seamless around the wing but the tail as a separate item isn't so well fitted. I also think the nose is a bit heavy and snoopyish but its still a decent effort compared to some moulds from the same period. Herpa's actions are enough to make you cry. Some of their moulds are monstrosities whilst others are wonderful but whether beauty or beast it matters little as they barely use them! Herpa have so far made a paltry three models on their own mould with the Icelandair Hekla Aurora still at the pre-order stage nearly two years after it was announced! This is unforgiveable as the mould looks good and was easily the best 1:400 757 in existence until NG arrived. What would it take to get Herpa interested in 1:400s? I don't know but since they've spent the money on the mould I just don't understand it. 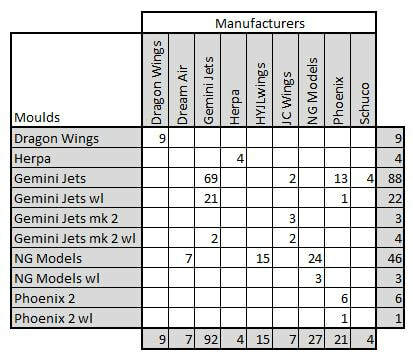 As of Sep 2014 Phoenix have done 14 models using the earlier Gemini moulds but in 2013 they decided to modify the mould to fit rolling gears. That seemed like a sensible thing to do especially as the undercarriage of the Gemini mould is its major failing. However Phoenix have made a shocking mess of the change. Being Phoenix as per usual the wheels are far too large but worse the nosegear too is way too short giving the new version a bizarre nose-down stance which looks awful. My understanding is that this mould is now out of production, which is probably just as well. Er Phoenix WTF have you done to this beauty? JC wings and Gemini both kicked out a few 757s in the past couple of years using the old mould and it didn't look like it would ever get an upgrade. Then NG Models came onto the scene (see below) and all of a sudden the old Gemini 757 got a facelift. The mould was essentially sound aside from the undercarriage so naturally this has been the primary focus of the mould update. The nosegear door is a little too small (previously it was too large) but the nosegear leg is thin and detailed albeit the two forward pointing processes look a little too long. The nosegear doesn’t roll but the maingear does. This too is new and an improvement over the old style. The tyres are closer together and the maingear doors longer. The gear leg itself, only visible from the inside, is also more detailed and correctly forked. The mould has also been updated with aerials as you'd expect for a 2018 moulding, but still has the small fuselage seam line. Essentially this is a decent update but although I like the older Gemini 757 mould it simply can't compete with the new NG Models offering. The new NG Models 757-200 mould, easily takes its place as the best 757 in 1:400 scale and one of the best ever moulds at this scale. The fuselage shape is excellent, particularly the nose shape and wingroot area. The latter is a really nicely contoured design with an exceptionally tight fit for the wings. The wings, engines and especially the engine pylons are also first class efforts. Of course it was the nosegear of both the Gemini and Phoenix 757s that have proven their biggest problems so how does the NG Models gear compare? I hadn’t realised that the 757 had such a complex nosegear leg. This makes it difficult to realise in 1:400 but NG Models have triumphed. The gear legs are excellent – thin and detailed. In the earliest releases the nosegear bay doors were a little small and the gear leg slightly too tall but impressively NG changed this feature early on and now NG releases come with a new nosegear and nosegear door setup. The result is that the nosegear doors are now better, and correctly sized. The nosegear itself is also slightly shorter, which looks good. Adding the cherry on top mould NG Models have shown a willingness to fit to the real detail of the aircraft. 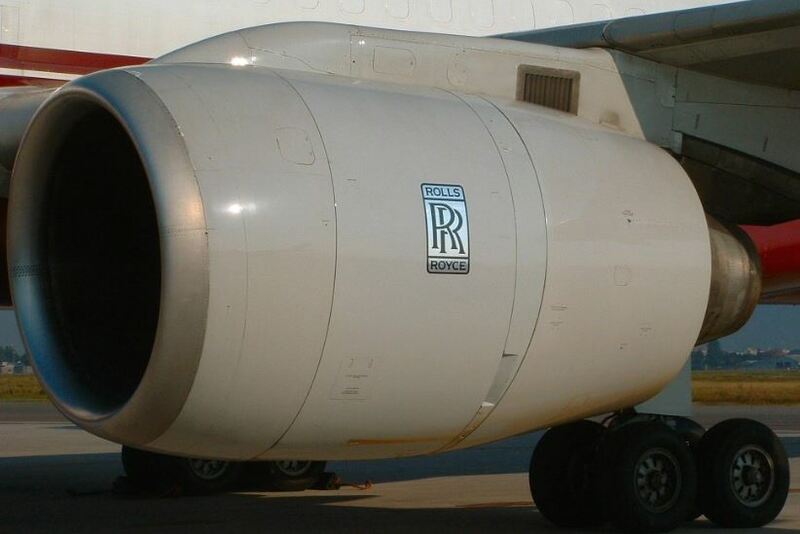 They have even gone to the length of producing the early Rolls-Royce RB211-535C, as well as the other engine types, whilst they can modify the number of aerials and domes on each of their models. The result is a stunning range of 757s that are near perfect.